I’ve been wanting to write this post for a while, but have been putting it off. It hits so close to home … and I am also of two completely different minds on the issue, and still trying to figure it out. I don’t have the answers … but I am living with the questions. … and the repercussions – both good and bad – of the answers I’ve chosen to date. 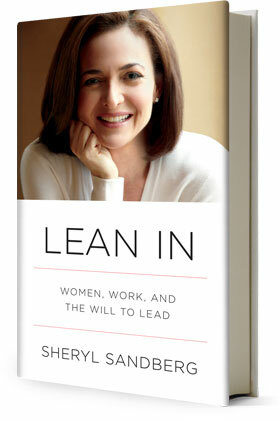 Many of my friends have read and are talking about Sheryl Sandberg’s book “Lean In”, about how we, as women, should jump in full force with our careers and our dreams, and just assume that everything else will work out, or that we will find a way to make it work out. Got children? Elderly parents? Anyone or anything else you need to take care of? Don’t let any of it stop you. Go for the gold, reach for the brass ring, grab the bull by the horns, follow your bliss, make your mark, go bold or go home! Go for it! Then, out comes a New York Times magazine article about successful career women who opted out of the workforce to raise their kids. Instead of Leaning In, they Opted Out. And my third reaction …. Lean In, Opt Out, what the f*ck? What’s the right choice for us as individuals, as women, as moms, and especially as moms of kids with issues? Because as any “issues mom” knows … having an “issues kid” is the work of many kids in one. There are extra school visits, a gazillion afterschool appointments, nightly hours-long homework battles, etc., etc., etc. There’s your full-time job right there, folks. Of course, there is no one “right” choice …. but are we really aware of all of the repercussions of the choices we make, when we make them? I’m not sure I would have made any choices differently (especially since it did not feel like a choice at the time, once the issues appeared and started to take over) … but I might have enacted those choices a bit differently if I had known what pitfalls lay ahead. I took time off when I had my kids, and fully expected to go back to work part-time originally, and then full-time. In other words, I Opted Out … with the plan to Lean back In when the kids were a bit older. During that time, my middle child’s issues became apparent – and he became my full-time job … one that I fully Leaned Into, and one that I don’t think I possibly could have done if I had been working a standard full-time job. Bottom line, I am glad I was there for my kids, and especially for my son, and don’t think I would have wanted it any other way. So, yes, you would think that I fully support Opting Out – when you can afford it – if you have a kid with issues. You lose a lot when you step out of the workforce. Yes, the trade-off may be worth it … but there is no denying that there is a price to pay. Any mom knows this … but there is more to it for an Issues Mom. Our kids’ issues can start to take over our lives. They can be so all-encompassing that you can lose your connection to non-issues life …. which often means, you can lose your identity and your individuality. Sometimes (Sometimes? How about every day?) it can feel like you’re losing your brain or your mind. And sometimes … it’s just not that good to be so focused on one child in particular. It’s not good for the kid, it’s not good for the siblings, and it’s not good for you. Because of all of these things (here’s another hard part to write) – I was not the cheeriest, most involved mom to all my kids. I was so overwhelmed so much of the time, that often I was just trying to get by, day by day. Maybe if I hadn’t lost so much of myself, I would have been a happier individual, and therefore a better mother? I’ll never know. But I do wonder. Ultimately, I did “lean back in,” in a modified way. I realized that having my “issues kid” become my full-time job was not healthy either for him or for me. So I started a new career (teaching) that, in addition to being personally and professional fulfilling, would allow me to always be around when my kids were home – after school, summer vacations, winter and spring breaks, etc. It didn’t pay well, and there were many frustrations (and even though I was “home” at certain hours, I certainly wasn’t 100% available, due to the 24/7 nature of what teaching really is). Because ………. and this the one that is the absolute hardest part to write ……. But … again …. especially if you have a kid with issues ………….. could you have done it any other way? Would you have? That’s a lot of rambling for one blog post …. As I said, I don’t have any of the answers …. I’m still living with the questions … and with the repercussions, both good and bad, of all of the “Opting” and “Leaning” that I’ve lived so far …. while I figure out where the next phase of my life will lead. I do know that I did the best I could at the time, and that I’m glad I am who I am today because of it all. ← There’s Always A Critic! You basically wrote my story. You also put it into a crystal clear perspective. I have been fighting to figure out the answers to these questions since the day I made the decision to leave my full time job in communications and stay home with my first born “for awhile” while my husband pursued the all consuming task of starting his own business. Fifteen years later, not one single thing worked out as planned. So glad you wrote this post. It is a huge and silent elephant. I guess what I’m trying to say here is that it’s hard to juggle kids, a career, your own individuality, a marriage, etc., under any circumstances (this is something that all women deal with) … and that it’s even more complicated when “issues” are involved; the stresses and the needs are escalated all around. None of it is insurmountable, and all of it will teach you things you never knew you would learn, and will ultimately take you to more enlightening and enriching places than you would have been otherwise … but maybe if you have a “heads up” about some of the possible repercussions (the extra strains to a marriage, for example, if your marriage is one that suffers under such strains instead of pulls closer together), you can head some of them off. How have I never visited your blog? Don’t worry I’ll be back. This is so right on, but the most right on part is if you had to do it all over again. I am fully aware of what I have done, the chances of me ever getting a good paying job are pretty slim. (although I might be a blog designer and not know it!) But the fact is, I NEED to be there for my son, he needs me, and lord knows no one will care for him like I do, and so I do it because I’m a mom. Thank you, Jen! Our blog is pretty new (we only started around Memorial Day), and I’ve only recently started networking with other bloggers (on Facebook, Twitter, etc) … so that’s probably why we’re new to you! So glad you found us and that we’ve connected! We have so much in common … but you are light years ahead of where Martha and I were when our sons were little. Hope you get a kick out of getting a bit of a peek into the future (and our own skewed view of the past) … you would not believe the wonderful young adults that these kids grow into! (There are still issues, of course … some are the same, some are different, some have disappeared, etc. … but they are wonderful young adults.) Thanks so much for stopping by and commenting, and looking forward to staying in touch! I love this entry. I stopped working when I became pg with #1 because my husband and I made an agreement to have me stay home with the kids. I think I totally screwed myself in the deal (although with the typical kids it was fun). I threaten the kiddos that I may just go back to work, but then who will be there for all those $%^& meetings at school. Not to mention “those” phone calls. Lean in/ opt out?? Unfortunately neither one works for the parents like us. You want to lean in, but you can’t because you would probably get fired for having to take so many hours off for “issues”. But this also raises an issue I think about a lot … what about the people who do not have an option, and have to go back to work full time, and can’t do all the school meetings, emergency pick-ups, OT and other appointments, etc. … if their job situation does’t suffer, then their kids probably do.